Bit of a gap between posts – every evening this week has been spent rather frantically researching houses to view, mortgages and solicitors. It’s mad. These photos are a week old now but I wanted to put them up for posterity and this was a day I really enjoyed! Bank Holiday Sunday was gorgeously sunny and the streets had a a definite festival vibe to them. 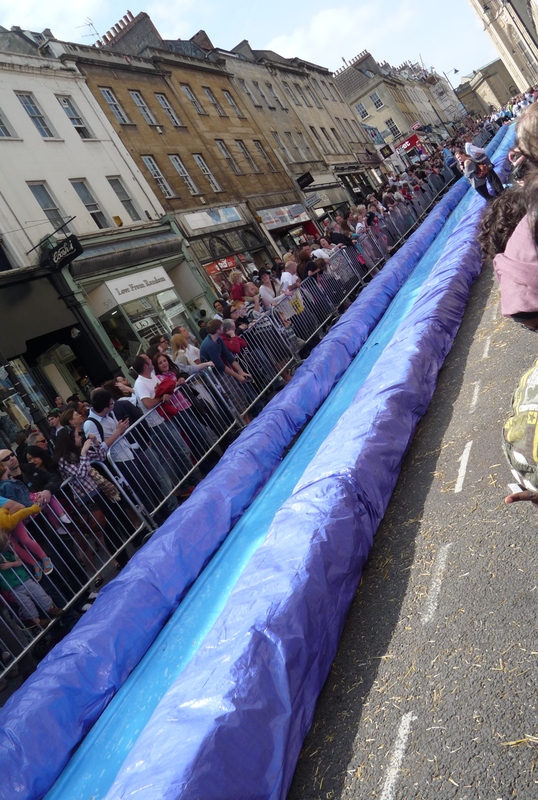 Just down the road from my flat was the ‘Park and Slide’ event – a temporary water slide built on Park Street, one of Bristol’s steeper main streets. 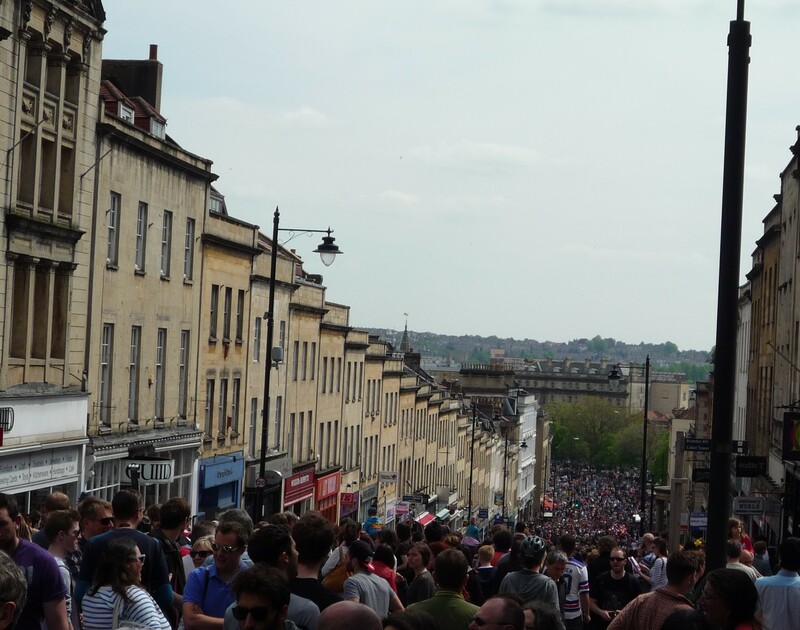 It was such a fun idea which I think really encapsulates the sort of culture in Bristol. Thousands of people (including me) applied for tickets to go down the slide but only a few hundred were selected in the ballot. 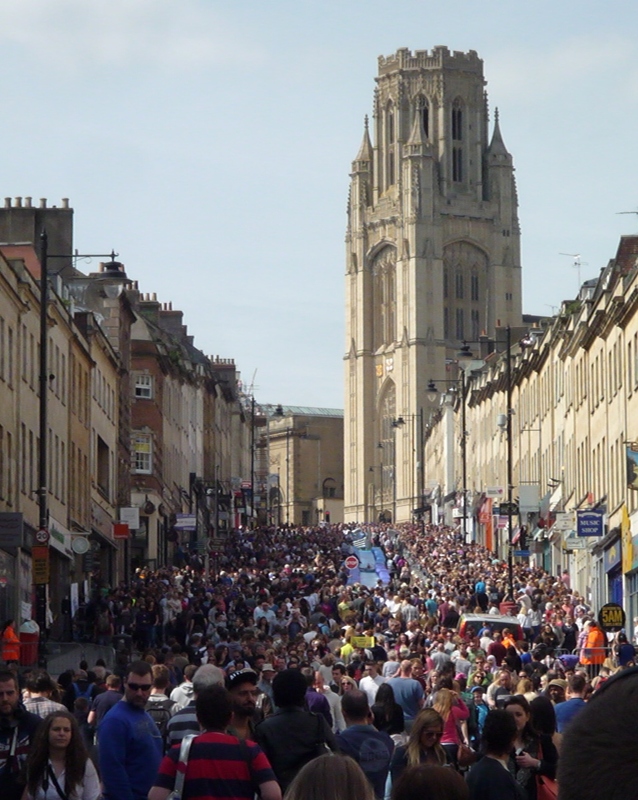 Park Street – closed for the event and very crowded! The slide itself was a little shorter than I expected but it was obviously a tricky event to pull off and had been very hyped up. The slide was made from hay bales and tarpaulin… sorry for the wonky shot! Crowded Park Street, looking back up at the slide. Heading down Park Street and onto College Green there was some pretty mouthwatering food on offer in various marquees. 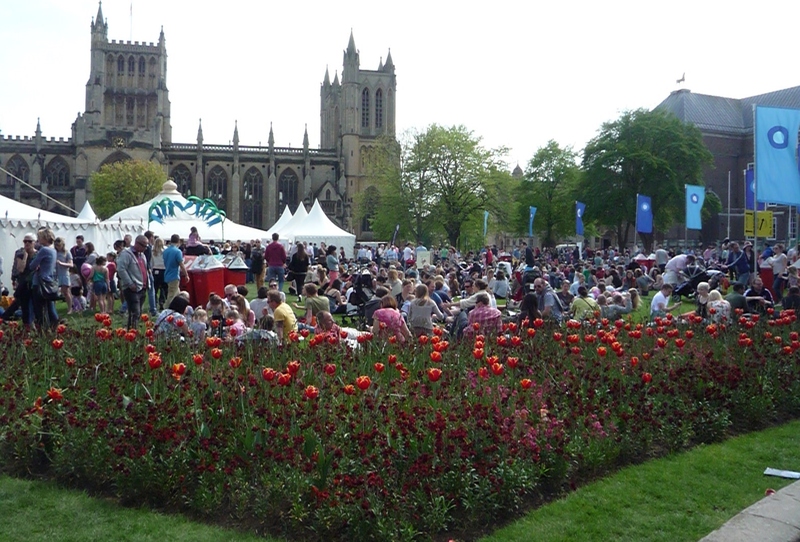 There were a few related foodie events going on as part of the Bristol Food Connections festival. The afternoon was spent exploring the different areas looking for some tasty treats before it progressed into a bit of a pub crawl around the waterfront with some friends. As evening fell we visited the Old Duke and Small Bar on historic Kings Street before getting last minute tickets to a gig at Thekla, Bristol’s venue on a boat! These are some of my favourite places in Bristol so maybe I’ll do a separate post on them at a later date.